In this book, I suggest that to understand cities we must view them not simply as places in space but as systems of networks and flows. To understand space, we must understand flows, and to understand flows, we must understand networks—the relations between objects that comprise the system of the city. 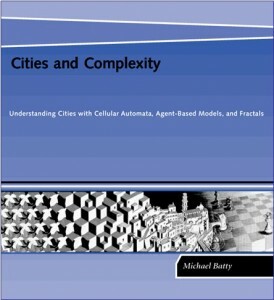 Drawing on the complexity sciences, social physics, urban economics, transportation theory, regional science, and urban geography, , I introduce theories and methods that reveal the deep structure of how cities function. 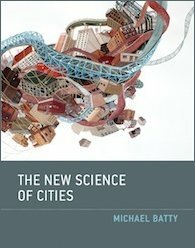 I attempt to present the foundations of a new science of cities, defining flows and their networks and introducing tools that can be applied to understanding different aspects of city structure. I examine the size of cities, their internal order, the transport routes that define them, and the locations that fix these networks. I then introduce methods of simulation that range from simple stochastic models to bottom-up evolutionary models to aggregate land-use transportation models. Then, using largely the same tools, I present design and decision-making models that predict interactions and flows in future cities. These networks emphasize a notion with relevance for future research and planning: that the design of cities is ‘collective action’, and we can also attempt to understand there processes more completely through simulation and modelling. There are many sciences of the city, almost as many as there are individuals trying to make sense of all this, to understand and plan them. This is why this web site is called ‘A’ science of cities’ and although my book is entitled the ‘New’ science, it is not meant to be the only ‘new science’. We live in an era when many of us are ever more concerned about the dilemma of cities and their problems, and for this, a new science is in the making. Some of the elements I consider should be part of it can be found in this book. This book does not spring eternal from my thought experiments. There is a long and painful path to these ideas which I and many other have contributed to over the years and I believe this path is getting harder to traverse as cities get more complex. Smarter cities which are all the rage now do not mean simpler cities, quite the opposite. 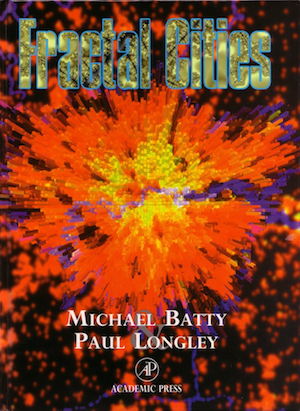 If you want to examine my previous efforts on which this book builds, look at my books Cities and Complexity which you can see here and also Fractal Cities (written two decades ago with Paul Longley) which is online.